Thinking of becoming an electrician in Texas? It’s a great career choice. The work is varied and satisfying, especially if you enjoy working with your hands and solving problems. In addition, the U.S. Bureau of Labor Statistics expects steady growth of 9 percent over the next eight years at the national level. There are plenty of opportunities at the state level. For example, the Houston metropolitan area is the second-highest employer of electricians in the U.S., ranking only behind New York City. Finally, when it comes to wages, electricians have healthy earning potential. As of May 2017, the entry-level salary for electricians was $32,160 while the median salary was $57,210. To become an electrician in Texas, you’ll need to complete an apprenticeship, gain experience, and then earn certification. Though there are several steps to becoming an electrician, you can start earning a wage at the apprentice level. Here’s how you get started on your career path as an electrician in Texas. You can apply to become an apprentice electrician once you are over the age of 16. 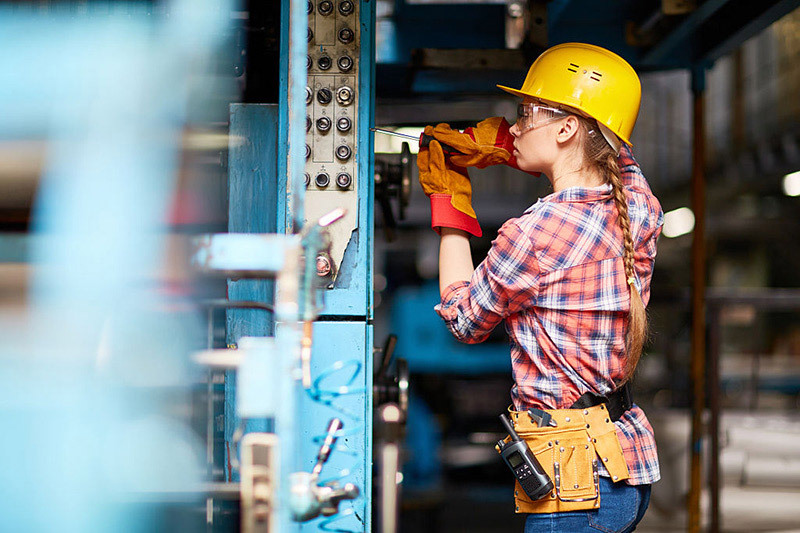 To make yourself more competitive in the job market, the state recommends that you enroll in an apprenticeship program approved by the Texas Department of Licensing and Registration (TDLR). Apprenticeship programs combine on-the-job training supervised by a licensed master electrician with classroom instruction. You can finish your diploma program at Altierus in as little as 9 months. In addition, our program helps you prepare for the National Center for Construction Education and Research (NCCER) Electrician I and II examinations at no extra cost to you. We also pay your testing fees. Earning certification can make you stand out when applying for your first apprenticeship, so we want to give you the opportunity to make yourself as marketable as possible. After you’ve graduated, you’ll be ready to pursue an apprenticeship and work under a licensed electrician’s supervision. Once you start your apprenticeship, your goal is to gain the experience you need to prepare for licensure. You’ll need to work a certain number of hours and pass an exam to progress through each level. Electrical Contractor – Become a licensed Master Electrician and purchase liability insurance. This is the level you need to reach in Texas before you can go into business for yourself. One year of work experience equates to about 2,000 hours. So, completing the work experience needed to apply for a journeyman’s license takes about two years of full-time work. In as little as six years, you could be a certified Master Electrician or even an Electrical Contractor. Becoming your own boss is a definite possibility when you decide to become an electrician in Texas. It all begins with the right training. Dr. Leonard is ready to share his expertise in education as a Center of Excellence captain for all electrical programs at Altierus. In his previous role, as a program coordinator at Nashville State, he began an industrial alliance that began with 5 companies and expanded the network to 27 key industry champions throughout the U.S. southern region. Committed to improving program curriculum and developing new partnerships, he hopes to see his students succeed — especially the student who may have struggled before because they did not fit the mold of ‘traditional’ education. He wants to ensure they have the skills that allow them to thrive in their career and create a better life for themselves.